It is with great paternal joy, that we invite you on behalf of our dedicated Sisters to participate, on the day of Dormition of the Most Holy Theotokos, on Monday, August 28th, 2017, in the Patronal Feast and Agape—Slava of the Federation of the Circles of Serbian Sisters, at St. Nicholas Serbian Orthodox Church in Monroeville, Pennsylvania. 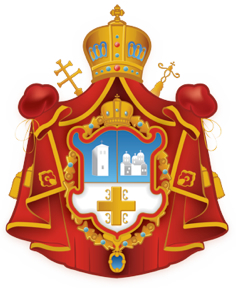 The Hierarchical Divine Liturgy will begin at 10:00 AM, followed by a Festal Banquet. On this occasion, we express our most heartfelt appreciation to this year’s hosts, for their demonstrated love toward our Federation of the Circles of Serbian Sisters, and in so doing to the Lord of Hosts Himself and His Most Holy Mother, our most fervent intercessor. WELCOME, INDEED – OUR JOY!